August 22-26 is designated as National Safe at Home Week. With 1.2 million people hurt at home each year, this week was created to promote and emphasize safety around the home. An important part of safety is preparing ahead of time on how to be safe. For example, you should always have a plan for fire evacuation, natural disasters, common house hold accidents, etc. But with more than 1.3 million women alone being victims of domestic violence, and with a majority of this violence happening in their own homes, it is very important for anyone involved in an abusive relationship to also have a safety plan on how to protect themselves and their children from domestic violence. A safety plan is a comprehensive plan for protecting you and your children from domestic violence and/or to help you safely escape from the violence and your abuser. It is vital for anyone living in an abusive relationship or a situation where they fear for their lives, to have a plan of action. But remember, if you are in immediate danger, always call 911. Practice how to get out safely. Ask yourself what doors, windows, stairwells, elevators or fire escapes can be used? Stay away from rooms with weapons and sharp edges, like bathrooms and kitchens or rooms where a gun is stored. Teach and practice with your children how to contact 911 and make sure they know their full names and important information and where they can go to be safe. Ensure that exits are not blocked. Keep car keys easily accessible or hide a set somewhere outside of your house, somewhere only you would know. Pack a bag with important things you’d need if you had to leave quickly. Give it to a friend or relative you trust, or hide it in a safe place. Work out a code word with children and others so they know when you need help. Know your resources, and have an idea of the services available to you. Write out your plan, this may help give you a piece of mind and a sense of regaining control of your life. Remember to always hide your plan in a safe place where the abuser is unlikely to find it. Though you may not have control over your partner’s violence, you do have a choice about how to respond to situations and how to best get yourself and children to safety. Need help forming a safety plan ? Reach out to a Hubbard House advocate through our 24-hour domestic violence hotline at (904) 354-3114 or (800) 500-1119 to receive counseling and safety planning assistance over the phone. Founded as the first domestic violence shelter inFloridain 1976, Hubbard House is a certified, comprehensive domestic violence center providing programs and services to more than 6,000 women, children, and men annually in Duval and Baker counties. While Hubbard House is most known for its emergency shelter, the agency also provides extensive adult and youth outreach services, school-based education, therapeutic childcare, batterers’ intervention programs, court advocacy and volunteer and community education opportunities. Visit http://www.hubbardhouse.org to learn more. Come celebrate National Thrift Store Day, Wednesday, August 17 with us at the Hubbard House Thrift Store located at 6629 Beach Blvd., Jacksonville, FL 32216. All boutique clothing and household items, with the exception of furniture, are 50 percent off the regularly marked price tag today! In addition adult clothing is priced at $1.00 and children’s clothing is priced at .50 cents. The Hubbard House Thrift Store is frequented by two main groups; the treasure hunter and the bargain shopper! Many struggling families find affordable ways to meet their needs at our store. Others like the thrill of the hunt and the discovery of rare treasures. They can spot the designer labels, the vintage items, unique treasure or the great bargain. Whether you are donating or buying from the Hubbard House Thrift Store, 100% of the net proceeds support victims of domestic violence and the services needed to keep victims and their children safe. The Hubbard House Thrift Store is open Monday – Saturday from 10a.m. to 6p.m. For more information about the Hubbard House Thrift Store please visit www.hubbardhouse.org/about/thrift-store/. 1. Go often – the great thing about thrift stores is that new stuff is always coming in via donations. 2. Know the specials – Ask what’s on sale when you walk in. Find out when the discount days are. 3. Decide why you are going – Are you just looking for stuff in general or do you have something in mind? Thrift stores have a lot of stuff and can sometimes be overwhelming. It’s always great to have a plan. 4. Try things on – Always try things on. Just because it’s a designer dress doesn’t mean you should buy it. Make sure it fits before you buy. 5. Have fun and have an open mind – The best part of thrift store shopping is that you never know what treasures you may find. Hubbard House is holding its 2nd Annual Youth Art Contest for children ages 5-12 living in Northeast Florida. This year’s theme is “Hands are for Helping, Not Hurting.” The purpose of the art contest is to raise awareness about abuse among youth and to encourage them to live a violence-free life. The contest is free to enter and begins Aug. 22 and runs through Sept. 22. One grand prize winner will receive a Playtime Party Package at Adventure Landing, Jacksonville Beach, for 8 guests. Ten Honorable Mentions will receive a Certificate of Achievement. The grand prize winner and honorable mentions will be featured on Hubbard House’s website and Facebook Page, in the Hubbard House Newsletter, and at various events throughout October, Domestic Violence Awareness Month. 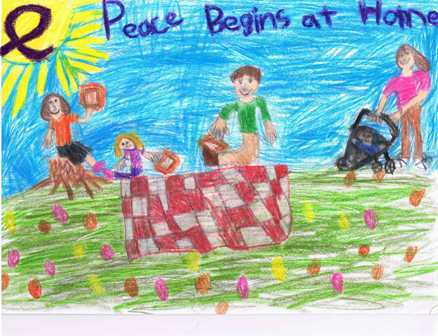 The art contest highlights Hubbard House’s prevention program W.A.V.E. (Working Against Violence Every day, Everywhere, Every time). The program teaches youth healthy relationship skills before abuse occurs, how to identify and prevent bullying, and helps them gain a better understanding of how violence affects their lives. For more information or for the official entry form please visit www.hubbardhouse.org/news-events/. Last year alone, Hubbard House sheltered more than 1,000 women and children. On an average day, anywhere from 60 to 80 people live at the Hubbard House shelter. You can say we have a full house! Our “house” is always in need of everyday household and personal care items. Keep in mind, a family of 80 goes through a lot of toilet paper and Chef Boyardee. Help our families with general needs: Gift cards to Winn-Dixie, Wal-Mart, Publix and any gas station. Denominations can vary. Help is a phone call away: Old, used, and even broken cell phones, donated to Hubbard House, are recycled through the Shelter Alliance program to raise much-needed funds to support the programs and services Hubbard House provides to victims of domestic violence. **Indicates area of greatest need. 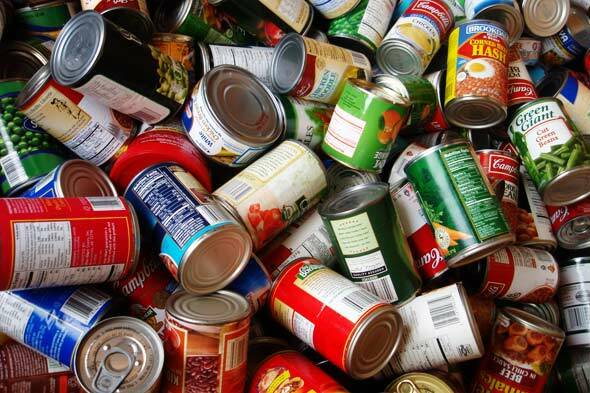 If you are interested in holding a collection drive to benefit Hubbard House or would like more information please visit or contact April Griffin at (904) 354-0076 ext. 301 or agriffin@hubbardhouse.org. The new school year is approaching, a perfect time of year for parents to sit down with their teens to talk to them about their responsibilities in school like earning good grades, getting to class on time, and staying out of trouble. In addition, a very important topic parents should discuss with their teens this time of year is that of dating and the possibility of dating abuse. Most parents cringe at the thought of their teen being involved in a romantic relationship and have no idea how to approach the subject. But one of the most important steps parents can take to prevent dating abuse is quite simple: start talking! Talk to your child about what constitutes a healthy, respectful relationship and please assure them that they are not to blame if they are in an unhealthy relationship, and that you’re available to help them be safe and happy. While nearly one in three high school students who have been in relationships have experienced the most serious forms of dating violence and abuse, including sexual abuse, physical abuse, or threats of physical harm to a partner or self, less than 25 percent say they have discussed dating violence with their parents. Discussing dating violence with your teen doesn’t have to be uncomfortable. Ask how things are going in general and try bringing up the subject by asking what their friends’ dating relationships are like. Ask if your teen has seen any type of abusive behavior between dating couples. This brings up an opportunity to discuss the warning signs of dating abuse. • Apologize and/or makes excuses for his/her partner’s behavior. • Lose interest in activities that he/she use to enjoy. • Stop seeing friends and family members and become more and more isolated. • Casually mention the partner’s violent behavior, but laughs it off as a joke. • Often have unexplained injuries or their explanations often don’t make sense. • Call your teen names and put him/her down in front of others. • Act extremely jealous of others who pay attention to your teen. • Think or tell your teen that you, the parent(s), don’t like them. • Control your teen’s behavior, checking up constantly, calling or texting, and demanding to know who he/she has been with. Hubbard House, the domestic violence center serving Duval and Baker counties, would like parents to know the difference between unhealthy versus healthy dating relationships, and to be prepared with safety tips and warning signs to discuss with their teens. Prevention is the key, so start talking! • To speak to a Hubbard House advocate about domestic/dating violence please call (904) 354-3114 or (800) 500-1119 or visit http://www.hubbardhouse.org. • Teens can call the national teen dating abuse helpline at (866) 331-9474 or chat online with a peer advocate at http://www.loveisrespect.org. • Test your knowledge of teen dating violence and find out dating abuse facts at http://loveisnotabuse.com. If you or someone you know is in an abusive relationship please call the Hubbard House 24-Hour Domestic Violence Hotline at (904) 354-3114 or (800) 500-1119. Founded as the first domestic violence shelter in Florida in 1976, Hubbard House is a certified, comprehensive domestic violence center providing programs and services to more than 6,000 women, children, and men annually in Duval and Baker counties. While Hubbard House is most known for its emergency shelter, the agency also provides extensive adult and youth outreach services, school-based education, therapeutic childcare, batterers’ intervention programs, court advocacy and volunteer and community education opportunities. Visit http://www.hubbardhouse.org to learn more.